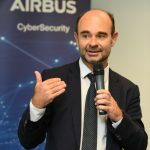 Rennes, France 29 June 2018 – Airbus CyberSecurity, the cyber security business unit of Airbus Defence and Space, has opened a new office in Rennes, Brittany, a location widely regarded as one of the largest Cyber Centres of Excellence in France. The new premises will be used to perform research and development activities for the cyber business. “The Cyber security ecosystem is already living and breathing in Rennes and Brittany is recognised for its leadership in this business. 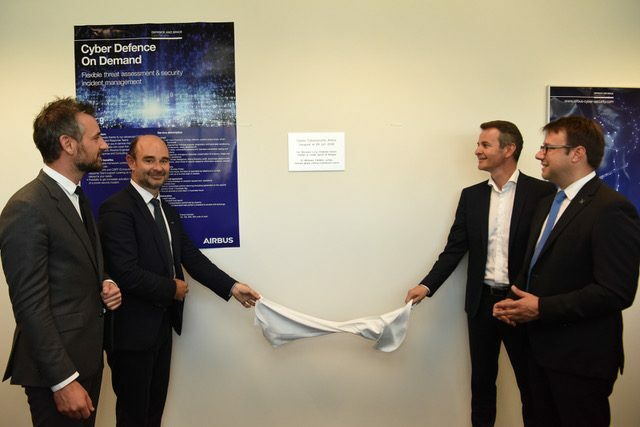 As a key player in the cybersecurity field in France and in Europe, it was a natural step to open this new facility that will reinforce our footprint in the region,” said Frederic Julhes, Head of Airbus CyberSecurity in France. Airbus CyberSecurity has been highly involved nationally and within the region’s “Pôle Excellence Cyber” in Rennes, which is based on three major pillars: the defence sector –with the presence of entities such as DGA; industry, with a strong presence of technology companies; and training, involving specialist engineering schools and universities. Airbus CyberSecurity is fully established in France, where 400 employees are located, mainly at its facilities in Elancourt (Paris). From left to right on this picture Florient Bachelier, Député, Frédéric Julhes, Head of Airbus CyberSecurity France, Emmanuel Couet, President Rennes Métropole and Loig Chesnais-Girard, President du conseil regional de Bretagne.